The hype around blog post titles is real. And I understand why. The legitimacy of spending hours crafting titles comes down to a simple rule of “hook and skinker”. The internet is full of information, correct? Let’s say you’re a blogger. Pick a topic, any topic, and chances are, someone somewhere has blogged about it. If you happen to pick a popular blogging niche, chances are that a simple Google search for a popular keyword will result in tens if not hundreds of blog posts on the same topic. Which one do you think gets more clicks? The ones on the first page 🙂 Yeah, SEO plays a huge role. But let’s forget SEO for a minute and focus on which title on the very first page of Google’s search results gets the most clicks. The blog post title that gets the most clicks is the one that pinpoints the reader’s pain point and offers a solution using words that stand out from the rest of the titles about the exact same pain point and its solution. In other words, it all comes down to the copy. You see, most of you worry about setting up a blog, choosing a domain, or setting up social media platforms. All of these are very important. However, as a blogger, what’s even more important is your skill with your words. 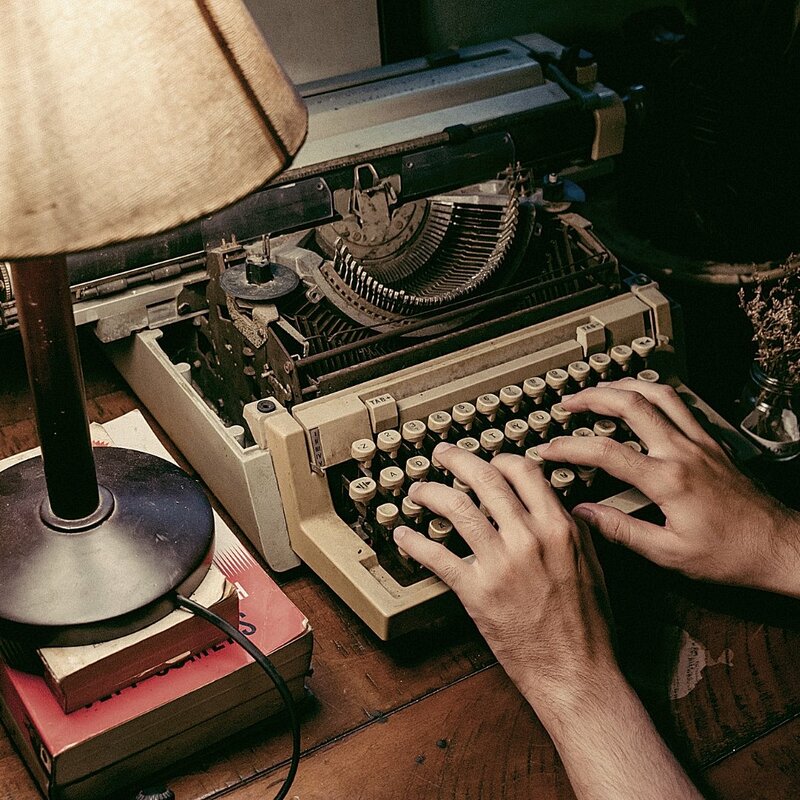 No, you do not need to be the next Kafka or Nabokov, or even Rowling for that matter. But you do need to understand how to write in a way that gets people to actually read what you write. And that takes practice. Here’s a piece of unsolicited advice: if you plan on making money blogging, spend some time learning about copywriting, proofreading, and editing. These are invaluable skills that will help you out in the long run. Because no matter what you think, blogging and content marketing has to do with getting people to read your stuff, and people won’t read unless your writing is compelling. Writing a well put-together blog post is different from writing stories or essays. A good blog post is about selling. Whether your post is geared towards selling a product or a service or an idea, it’s really all about marketing. And marketing has to do with copywriting. And so, if you ask me, I’d say as a blogger you should invest in learning copywriting. It doesn’t have to be a financial investment, per se. It can be if you have the budget for it. But it has to, at the very least, be a time investment. There are a lot of free resources out there, and you should do the best you can to learn from them. And guess what? A good sales pitch starts with the headline. In our case, a good blog post title. The title is the very first thing your potential readers come across on a Google Search Engine Results Page (SERP) or a social media page/profile. And that’s where the magic starts. These are known as the “How-to” type and the “List” type. Remember how I said that you need to pinpoint a pain point and then offer a solution for getting the attention of your ideal readers? These two post types [list and how-to] are the first indicators that grab your readers’ attention because they tell your readers that you’re about to solve a problem inside your post. Perhaps the most popular type of blog post is a how-to post. A typical how-to post is a long-form post that takes a problem your ideal reader may have, and then proposes an in-depth solution to that problem that takes the reader through the entire process of solving said problem, leaving no room for doubt or confusion. It should be a thorough post, and the title should be clear enough for your ideal reader to understand exactly what problem you’re tackling in your blog post. But wait, is that enough? Like I said, a whole bunch of people who blog in the same niche as you are also tackling the same problem. So, how do you make sure that your readers click on your post and not others’? 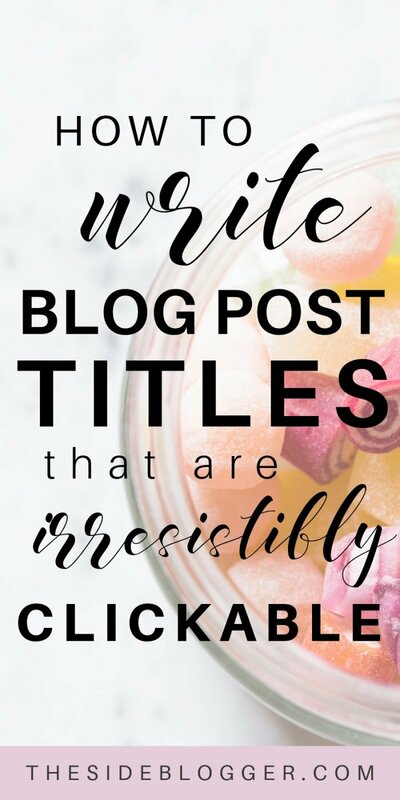 By crafting a title that’s irresistibly clickable. The best way to demonstrate that is with examples. Let’s assume we’re tackling the topic of scoring jobs as a freelance writer. Note: This is a decent title. It’s straightforward, and folks who’re trying to find ways to get freelance writing gigs will likely click on this title. Note: Killer title right there; this one comes with an added incentive — not only will you learn how to score jobs, but also jobs that pay good money. If the previous example and this one are presented together, most readers will likely click on this one over the more generic title. Note: Similar to example 2, but the biggest difference is the emotion that’s invoked in the reader. Example 2 focuses on the task (find high-paying writing jobs), while this one focuses on the self (become a highly paid writer). I don’t know about you, but personally, I like content that promises self-improvement rather than content that seems to want us to do a lot of work. It could be the lazy side in me, but I have a feeling that a lot of readers feel the same way. For me, example 3 is a clear winner, with example 2 being a close second. For convenience, here are some “formulas” that you can use (with examples) to craft epic how-to type post titles that’ll explode your clicks and shares. Double the benefit is always better than a single benefit, right? This is an interesting structure because it promises something, without another thing. In other words, you’re promising something desirable, while expelling an associated fear at the same time. A “list” type post can be similar to “how-to” types in that this type of titles also promise to solve a problem. However, while a “how-to” type focuses on an elaborate solution to a certain problem, a “list” type focuses on bite-size, multiple solutions. Brevity is of the essence here. There are three common structures for a “list” type blog post title. You can add interest in this structure by following up the above with “when _____”. A “list” type post can also be an informational post, wherein you list a number of things your readers may not have known regarding a certain topic. This can be seen as a variation of a “how-to” post title. Instead of saying “How to Solve Such and Such Problems”, we can say “A Step-by-Step Guide to Solving Such and Such Problems” or “An Ultimate Guide to Solving Such and Such Problems”. You can also use a famous person’s name or a group’s name for added intensity. A blog post title depends on the topic and may not be categorized as one of the three types I mentioned above. And that’s fine. However, the three types are some of the most effective, hence their rise to popularity. In this section, I’ll walk you through three different ways you can enhance your blog post titles to increase clickability. In the above example, the word “surprising” adds curiosity which makes readers want to click and learn what surprising tips you’re talking about. In the title above, the term “mind-blowing” catches a reader’s attention which prompts them to click on it, as opposed to a title without it. Writing a good blog post title has a lot to do with manipulating the human psyche. Now, some people may feel put off by the idea of manipulation. But, think about it. Manipulation isn’t by default a bad thing. If you’re manipulating your ideal readers into reading a blog post knowing that what you have to share will benefit them, then I see nothing wrong with using manipulation to increase your chances of getting more clicks and reads. Here’s an article from OptinMonster that has 700+ power words to boost your clickability. 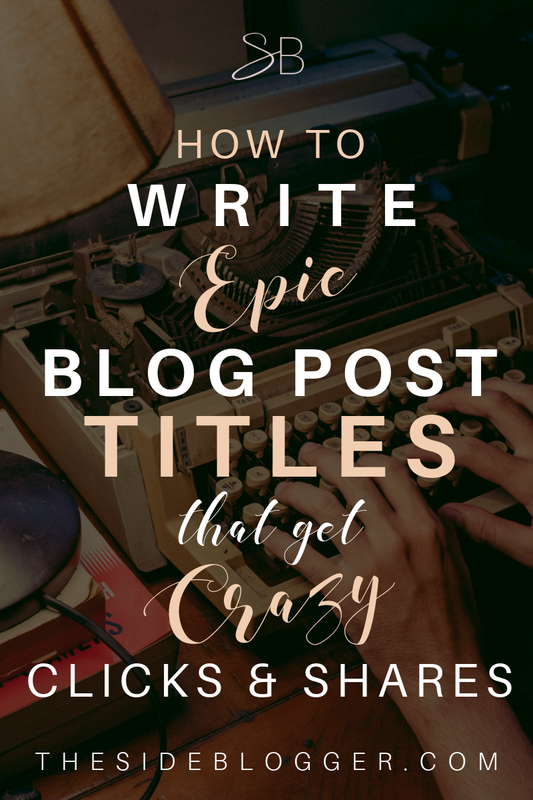 The point of writing an epic blog post title is to grab a hold of your readers’ attention and making sure they can’t see anything else but your title. You can do this by evoking strong emotion. One way to do so is by using power words as described above. But you can take it to the next level and write a title that either makes your ideal readers take a breath of relief or scare the living daylight out of them. Let’s take a look at some examples of post titles that put your readers’ minds to ease. In the examples above, the titles do two things. They address a “problem” and offer something desirable despite the problems. In the first title, the reader’s problem is that they aren’t good at pitching. However, the title promises being completely booked out with web-design clients, despite the handicap of not being good at pitching. The second the third example titles work the same way. Now, let’s take a look at some examples where you scare the crap out of your readers. In the examples above, the titles address a desirable outcome which is hindered by taking the wrong actions. Readers would be instantly hooked to these titles because they’d be anxious to find out if they’re making the same mistakes you’re referring to. Another way to get your readers’ attention is by saying something controversial, or by challenging their conventional wisdom. There you go. This should give you enough material and ideas to start practicing writing killer blog post titles and headlines. And yes, this is something you need to practice if you want to be a blogger whose posts people actually want to read! I just want to add one more thing before I finish this post. These are some great strategies for crafting sensational post titles that’ll get you tons of clicks and shares. However, you need to be just as vigilant when writing the blog post. Do not clickbait your readers and then feed them crap. The post title is just the beginning. As I said, it’s where the magic starts. But the magic definitely doesn’t end with the title. If you want to be a blogger that people look up to and if you wish to be considered a teacher or a mentor to your readers, then you need to continue providing value and fulfill the promise(s) you make in that post title. With that said, have I missed a stellar strategy for coming up with irresistible post titles? If you know something that I’ve missed, please share with me and all the other readers in the comments below. A piece of helpful content to start the day. Thanks to the Author. This what I was looking for a long time, now I got this over here. Thank you!! This is really a convincing article and it inspires me a lot to enter the blogging world. Thank You!! Great post!! Lots of great info. Thanks for sharing! Awesome blog post…. I found this article and suddenly really wanted to try it. Thank you. Thank you for this very useful post! Your examples really made it clear what you were saying (I would have clicked them all because I was so intrigued! Haha). I can’t wait to use your tips on my own blog and see what happens :). Great tips and I love how you not only tell people what works but give good examples they can apply. 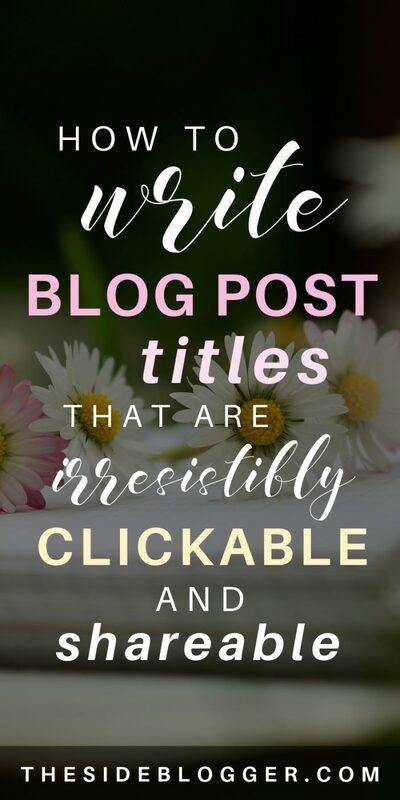 The added benefit in these types of titles is that they can automatically double in the SEO range if you choose part if your title as your key focus word. Adding key focus words inside your title will help you to rank up onto Google’s front page faster. Thanks for this very well thought out post. I’ll be checking back in for more great advice. Hi there, Thank you so much for your kind words, appreciate it. I’m glad that my posts are useful to you. And you’re right, using strategically placed keywords can definitely improve your chances of getting found on Google. thank you so much for this useful blog post & very helpful content! I was so glad to find your tips! Thank you for taking the time to write it out! Thank you, Rici. I’m glad you found this post helpful.